I was lucky enough to have a short story accepted for a romance anthology that will be coming out in February. It had to be set in the Granite State. That’s New Hampshire for anyone who didn’t know. I decided to use a favorite of all ages: Canobie Lake Park. 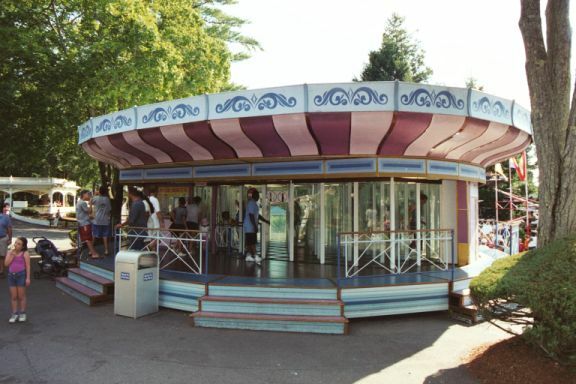 It’s an amusement park in Salem, NH that has been around for over a hundred years. I’ve included a little snippet, hopefully for your enjoyment. Let me know what you think. She maneuvered her way through more panes of glass and came up right behind Mark just as he was turning around, and they collided. He reached out to steady her and Julie became intimately aware of the connection between them. Her stomach tightened and her skin tingled, just like when he had touched her earlier. She gazed at him and he gazed back, his silly expression turning serious for a change. Was he feeling it too? “Did I hurt you?” Mark asked, his hands running up and down her bare arms. Julie stared at his full lips and wondered what they’d feel like pressed against hers. What? Where had that thought come from? There should be no thoughts of kissing him. Well, there had been that one time they’d both had way too much to drink. But they’d had way too much to drink. It shouldn’t count. Julie smirked, wiggling her behind, then started walking. This time she used the secret she’d learned when she was younger. Look at the floor to see which sections had glass in them and which didn’t. But even with that, she still managed to bring them to a dead end. Mark smirked as she put her hands up to the glass in front of her. His breath hitched and she felt his body stiffen for a second then ease back. He snorted, “In your dreams, Jules.” Then he turned around, finishing the last few steps that led them out of the glass house. makes one want all the backstory to these characters…very interesting..
Can’t wait to read this! I love Canobie Lake Park! Coming out in Feb. 2014. I can’t wait either! Thanks! This has been postponed until Feb 15 now! Writing Dark Romance. Blogging Life. There are no such things as coincidences!